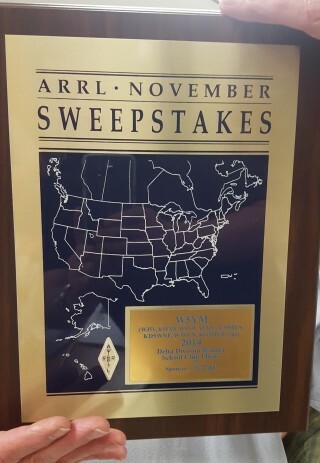 The W5YM ARRL November Sweepstakes plaque for 1st place in Delta Division. 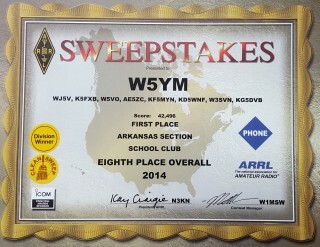 This past week W5YM received our official plaque for the 2014 November Sweepstakes. A few days later, we received the official certificate as well. 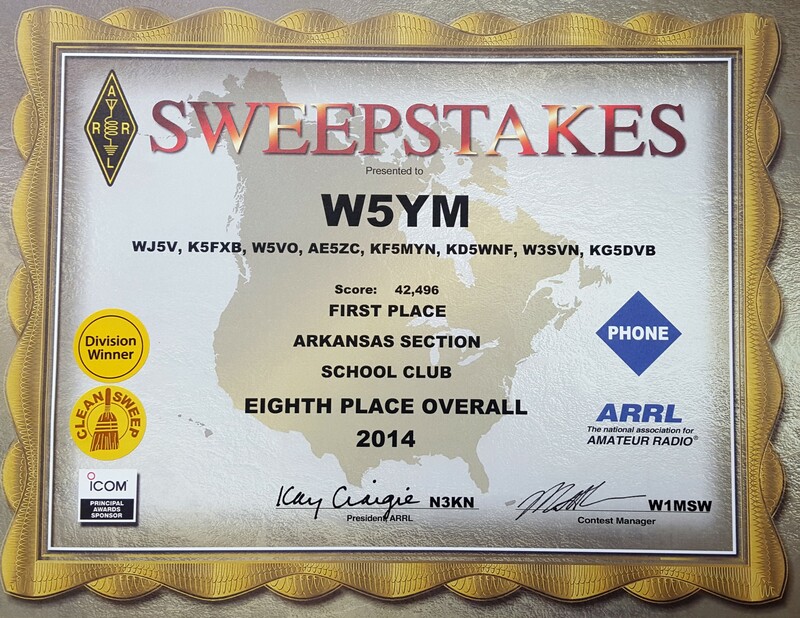 We were the Delta Division Winner for School Clubs in 2014! Also, we ranked in 8th place nationwide for School Clubs! As always, we had a great time and everyone had an opportunity to participate. We’re already looking forward to next year! 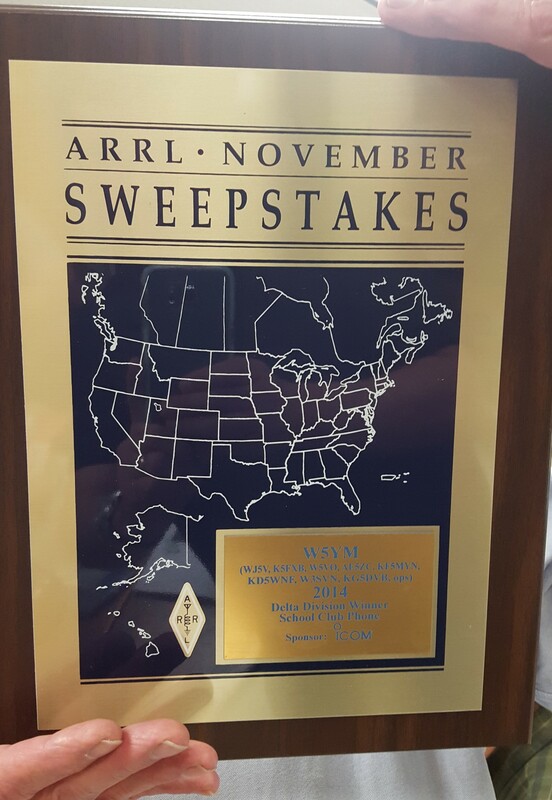 The W5YM ARRL November Sweepstakes 2014 award certificate.